Blog Student of the Week - Kathryn W.
How long have you been dancing? I started taking group lessons in January 2017. How did you get into ballroom? Learning to dance has always been on my “to do” list, and I decided this was the year to start my journey. I am very fortunate to have found PaperMoon and cannot imagine a better place to learn. Which dance do you enjoy the most? I like several. However, if I had to select only one, it would be the Tango. What is your favorite dance memory? My all-time favorite dance memory is taking my first Viennese Waltz steps with Ray. Learning the Viennese Waltz has always been a dream—taking just a few steps was a thrill. Dancing with other PaperMoon students has also created a lasting memory. The positive interactions with and encouragement from other students have been invaluable to me. Maria and Ray’s teaching styles, support, and the fun spirit of PaperMoon also come to mind. What dance goal would you like to conquer next? My near-term goal is to become more skilled and comfortable with basic steps and technique in smooth and rhythm dances. My dream goal is to learn the Viennese Waltz and the Quickstep. What are your other hobbies? 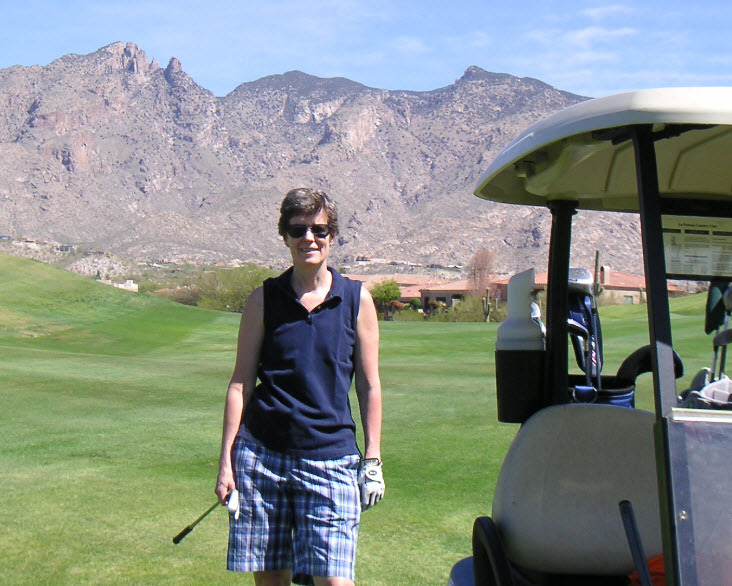 I like to play golf, saltwater fish, and keep active with home projects and exercising. Tell us something you think most people don’t know about you. Although I am not currently active, I have a private pilot’s license.